What Are Wills and Revocable Living Trusts? Wills and Revocable Living Trusts… What are they? Why are they Important? Planning for your death is not what most people want to think about. However, to ensure your loved ones are taken care of when you die, you must plan for the future. There are two main instruments you can use to pass on your assets based on your wishes: wills and revocable living trusts. Without either of these instruments, you will not have a say in how your assets will be distributed. Instead, they will be distributed based on California law. For instance, if you are married, all your community property will pass to your spouse. Then your separate property will be distributed between your spouse, children or grandchildren, parents, siblings, nieces, nephews, or close relatives. If you are not married, your assets will be distributed to your children or grandchildren, if you have any, or your parents, siblings, nieces, nephews, or close relatives. Your friends, charities, and others not predetermined by California law will receive nothing. If you die without any living relatives, your assets will go to the state. That is why it is essential to prepare either a will or a revocable living trust to ensure you have control on how your assets are distributed. A brief overview of each instrument is given below. A will is the most common and well-known type of instrument to prepare when planning how to distribute your assets when you die. You can distribute your assets any way you want. However, in order for your instructions to be carried out after your death, your heirs must go through a court supervised process called probate. A judge must approve the distribution before the instructions can be carried out. The disadvantage of probate is that since probate is processed through the court system, your assets and beneficiaries will become public record. This process may also be more expensive compared to a revocable living trust because the amount of fees your heirs will owe their attorney will be a percentage of the value of your estate. A revocable living trust is a legal instrument that you put your assets into. It is administered for your benefit during your lifetime. Your assets will then be transferred to your beneficiaries based on your instruction when you die. Unlike a will, a trust does not need court supervision to be carried out. The trustee you appointed in your trust will carry out your instructions according to the trust. The disadvantage of a trust is that it may be more expensive up front to prepare compared to a will. However, the administration of the trust will most likely be less costly compared to probate. Moreover, because only assets put into the revocable living trust will be distributed upon your death, a pour-over will generally accompanies a trust as a catchall. Therefore, any assets not put into the trust during your lifetime will still need to go through probate after your death. 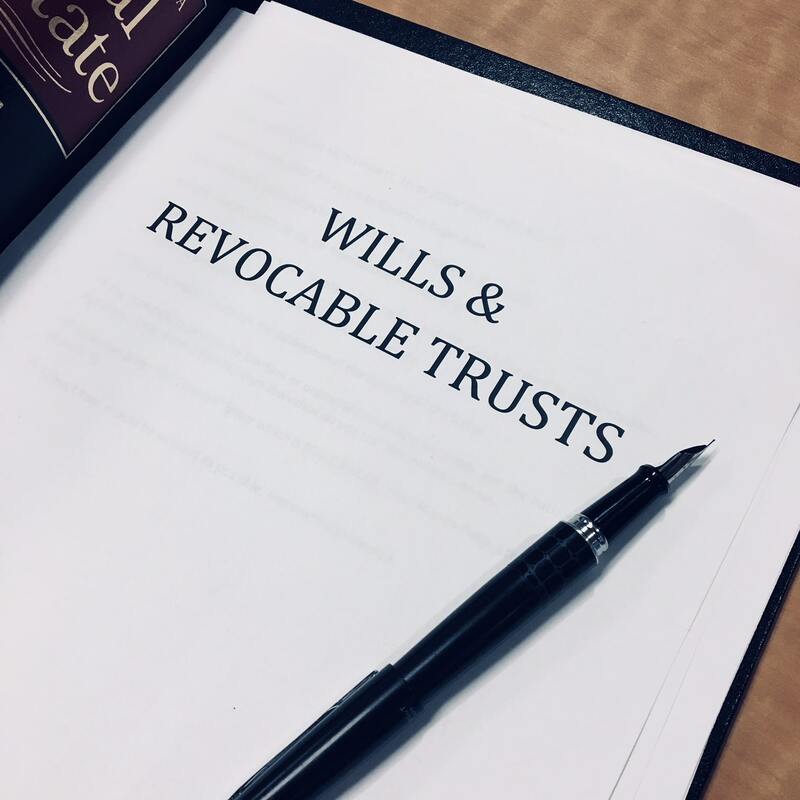 Even though there are advantages and disadvantages to both wills and revocable living trusts, preparing one is still advantageous to not having one at all to ensure that your wishes are carried out after your death.